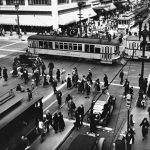 Here’s an amazing training video produced probably by the Los Angeles Police Department traffic division, from 1946, showing downtown Los Angeles in the immediate postwar period. 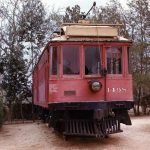 LATL PCCs, Pacific Electric cars, and much more! WOW! 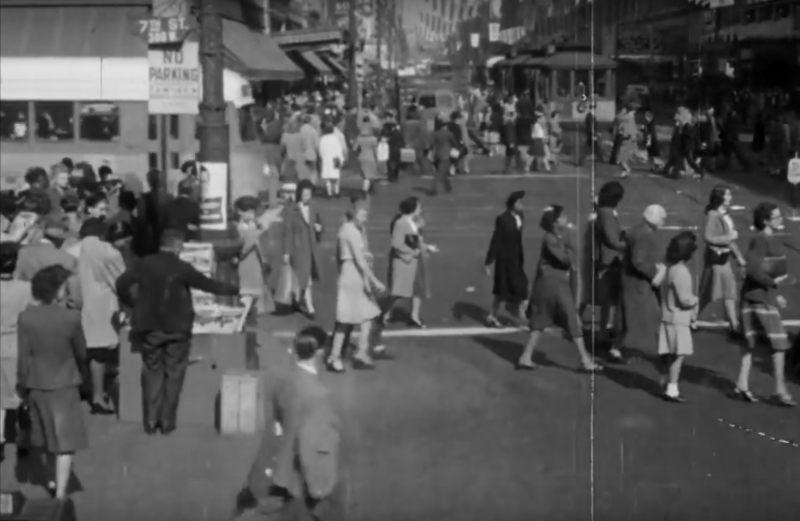 This is mostly filmed at the corner of 9th and Broadway in front of the Eastern Columbia building. While most scenes were at Broadway and 9th, many other views with dual gauge track were on Hill St. You can clearly see a PE 600 class car in one scene and you can barely see the front of a 100 class car on the Echo Park Ave – Hill St. Line. In fact, you can make out the sign for the Subway Terminal Building in one of the Hill St. scenes. Excellent movie! Brings back wonderful memories. How lively downtown was then. Funny how the announcer pronounces the city name as “Low Sanglus” That was common back then. People were so well dressed. In the place of jeans, backward baseball caps, droopy pants, etc., we see people wearing jackets, nice shoes, elegant hats. suits, ties, dresses. In general, these were people with much more modest means too, but yet they made a decision to look good every day. If you ignore Tommy the Cop you will get great views of autos and fashions of the day. It’s good that most people walked as more autos would have added to the chaos.